What’s the Best Answer to Evangelical Extremism? How should Americans respond to evangelical extremism in the United States? Some liberal commentators have suggested that evangelicals need to start showing as much commitment to their nation’s interests as they show to their religious faith. But is it really a good idea to tell evangelicals, “You should place greater priority on nationalistic fervor than on religious fervor”? After all, both religion and nationalism, in their more extreme forms, constitute a type of bigotry. Replacing one type of bigotry with another seems a little counterproductive if our goal is to participate fully in the global and human communities. Certainly, religious fervor among rich and powerful evangelicals is a growing problem in the United States, and a threat to secular democracy and civil government. David Sirota of Salon points this out in a recent article entitled Are Evangelicals a Threat to National Security? 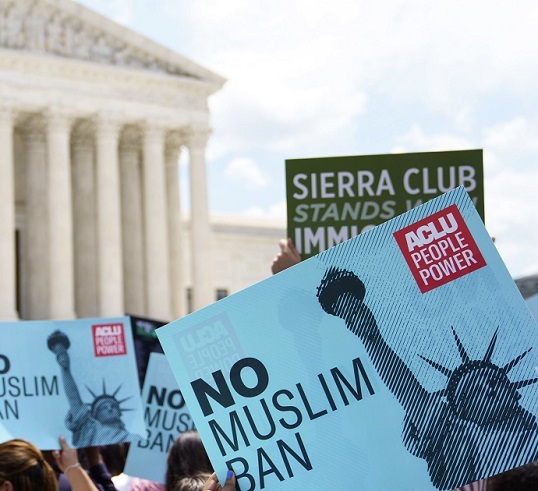 In his article, Sirota cites a recent Gallup poll which suggests that, contrary to popular opinion, Christians are more likely than Muslims to put their faith before their country. The implication is that Muslims will be there for their country before Christians, who have traditionally dominated the cultural landscape of the United States, and who claim a link between American politics and their own religion which should be defended. It is rather ironic, then, that a dominant religious group which views Christianity and American culture as one and the same should put faith before country as compared with a minority religious group. But, as mentioned above, asking Christians to put country before faith, and not the other way around, is potentially dangerous since it simply replaces one type of ideological zeal with another. The first reason why this is dangerous is that it presupposes the assimilation of differing groups into American society. Sirota makes this suggestion when he cites the Gallup poll to disprove the stereotype that Muslims pose a greater security threat to the U.S. than Christians. In his attempt to do so, he unwittingly assumes the arguably conservative position that being American means being the same as everybody else. But, of course, this is nonsense: there is no official language of the United States nor an official religion for the government to peddle as the true language or religion of the nation. Clearly, though, Americans have to get along with one another. Why, then, not promote the idea of integration of different peoples in the form of a “cultural mosaic”–a system in which each citizen participates fully in a secular government while retaining their own unique customs and identity? But Sirota never even mentions integration: even he implies that Americans are supposed to be the same as one another. And then comes the burden of deciding whose language, religion, dress, customs, etc. will be the American prototype for everybody else to emulate under a policy of assimilation, and how we arrive at this decision remains a mystery unless we assume it is supposed to be white, male, heterosexual, English-speaking, and Christian (which, of course, defeats Sirota’s vision of Americans putting country first in a secular nation-state). So perhaps we shouldn’t be responding to fundamentalist evangelicalism with calls to assimilation. Of course, Sirota might be implicitly promoting a more benign and cosmopolitan form of patriotism characterized by efforts to improve one’s own country through grass-roots efforts, etc., and this is a noble cause as it recognizes that nationalism begins with the uncompromising attitude that no imperfection exists in the first place, but if this is Sirota’s intent, it isn’t exactly crystal-clear. The irony in all of this is that religiosity and nationalism are intertwined in American culture anyway (unfortunately), so telling evangelicals to place greater priority on patriotism than on faith is rather redundant. Sirota acknowledges that American culture and Christianity are often seen as interchangeable: “Christianity is seen as the dominant culture in America — indeed, Christianity and America are often portrayed as being nearly synonymous, meaning expressing loyalty to the former is seen as the equivalent to expressing loyalty to the latter”. In this sense, he notes, there is no separation between the American government and the Christian religion. This view is the product of efforts on the part of evangelicals to create an artificial synonymity between the two, and, unfortunately, to some extent they have succeeded. Liberals like Sirota can’t tell evangelicals to put their country before their faith if those same evangelicals have craftily and successfully blurred the boundary between the two, making loyalty to one the same as loyalty to the other. Rather, what we should be doing is confronting evangelicals for making this inappropriate association in the first place and dismantling it. But the next step should not be to encourage them to place priority on xenophobic chauvinism–it should be to encourage them to place priority on secular civil democracy, as their Muslim peers seem better able to do. The point is that liberals like Sirota seem to have good intentions when they tell evangelicals to put their country before their faith, but ultimately even that approach is misguided, since it just replaces one potential form of bigotry with another. And there are three ways in which Sirota inadvertently and indirectly makes this possible: by unquestionably extolling the notion of assimilation instead of integration, by promoting nationalism over religion without acknowledging the potential for zealotry in both, and by overlooking the fact that evangelicals are already trying to create an artificial association between nation and religion in order to obviate choosing between the two. With regard to the last of these, clearly this conflation of politics and religion should not be happening, but we need to acknowledge that if we are telling evangelicals to place their country before their faith, they will think this ludicrous, since in their minds the two are one and the same. So, essentially, what we should be doing is telling evangelicals to be less fanatical, whether it involves religion or patriotism. For their Muslim peers seem to have a better perspective on fanaticism living in the United States.